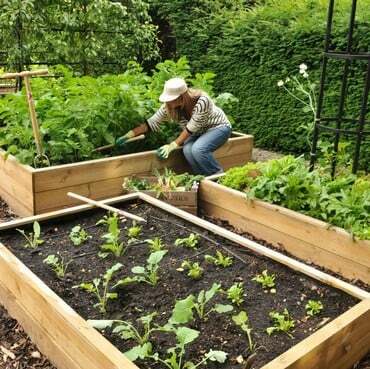 Crop rotation has been practiced in both agriculture and horticulture for centuries and plays an essential part in keeping your vegetable garden soil free from pests and diseases, ensuring the ground remains well cultivated and maintains as much of the natural soil fertility as possible - but in what order should we try to rotate our plant groups and is it necessary in raised beds and raised planters? Plant groups – usually root vegetables (with salads added), legumes (along with fruiting vegetables) and brassicas - are grown in different beds or locations in the garden over a 3 (preferably 4) year cycle to help reduce the threat of soil borne pests and diseases, arguably the most notorious of which is club-root which afflicts brassicas. If you’re unfortunate to get this in your garden through regularly planting brassicas in the same soil year after year, then you can say goodbye to growing cabbages, sprouts and the rest of the family for as long as 20 years! Don’t be fooled into thinking rotating crops around in this fashion is a failsafe way of preventing these pests and diseases; you’ll still need to practice good garden husbandry but it certainly helps, especially if you follow a cycle in the plant group order listed above (eg. follow root veg with legumes etc). Each group of crops will benefit from the previous; beans in the legume group will fix nitrogen into the soil ready for the hungry brassicas, which prefer a relatively firm, slightly alkaline and are followed by root crops (not to keen on nitrogen as it’s the root development we’re interested in, not leafy foliage) which require plenty of ground work – especially potatoes – and you start breaking up and mixing the soil without realising it! 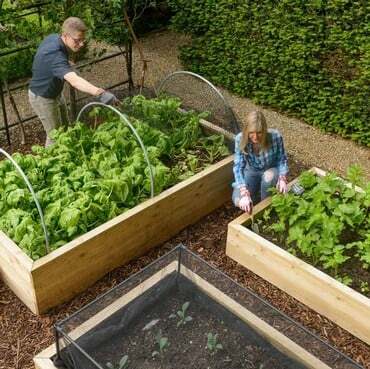 Although crop rotation is still an integral part of raised bed gardening, it doesn't hold the same importance in raised planters as it does in open soil beds, allotments and vegetable plots. 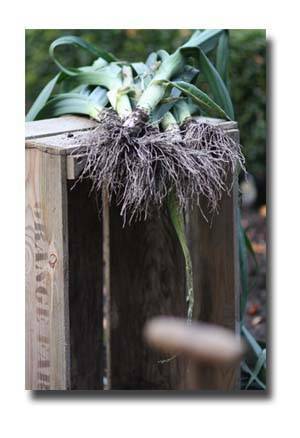 That's because the soil in a raised planter is regularly topped up, replaced and generally has plenty of new material added each growing season, giving soil-borne diseases such as club-root less chance of taking hold. By all means practice crop rotation in your beds if possible, but don't get too hung up on it! If you regularly top up your raised planters with organic matter (in the shape of home-made compost of well-rotted farmyard manure), prepare the ground properly for the forthcoming crop and generally feed and care for your plants well then you shouldn’t have any problems growing a real mix of plant groups in your raised beds.